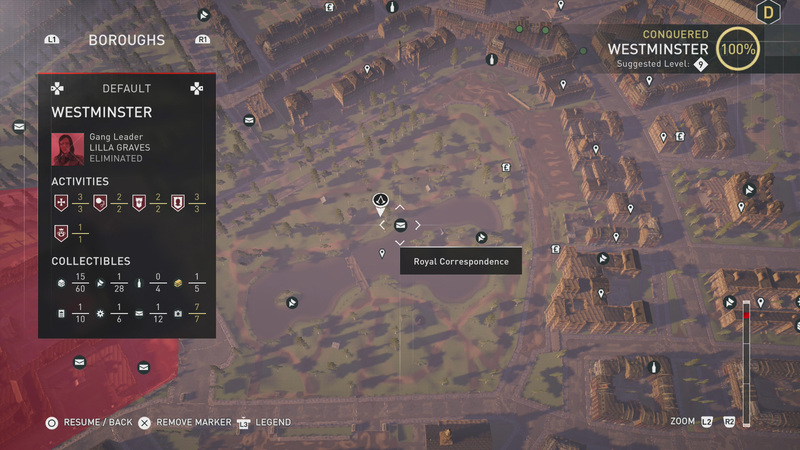 Find all 12 Royal Correspondence collectibles at Buckingham in this Assassin's Creed Syndicate Item Locations Guide. 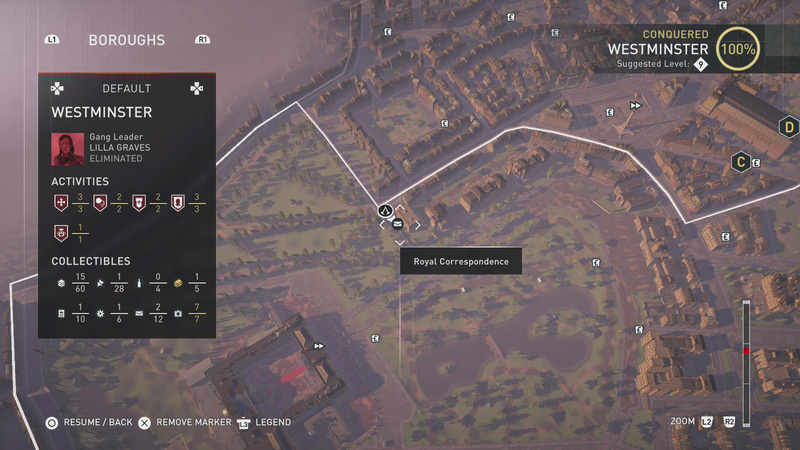 This guide will show you the locations of all 12 Royal Correspondence letters that can be found at the Buckingham region of Westminster, in Assassin’s Creed Syndicate. It’s best if you’ve conquered all of the Westminster borough before you begin, as much of the area is controlled by Blighters before you do. 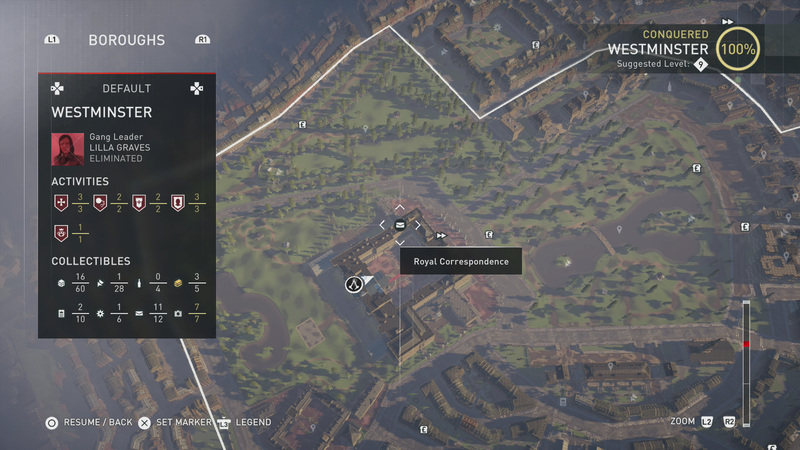 Even if you do capture the borough, Buckingham Palace itself is a restricted area, although you’ll find that most of the Royal Correspondence letters in Assassin's Creed Syndicate are fairly easy to access just the same. 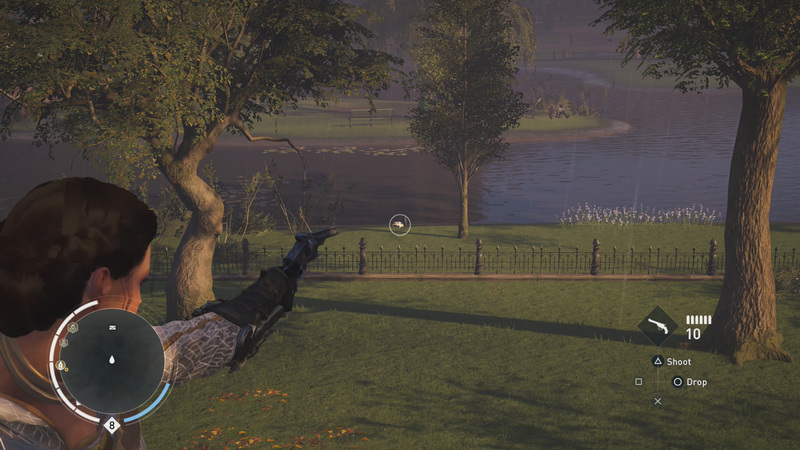 If you’d rather focus on the story, return to USgamer’s Assassin’s Creed Syndicate Walkthrough and Guide. 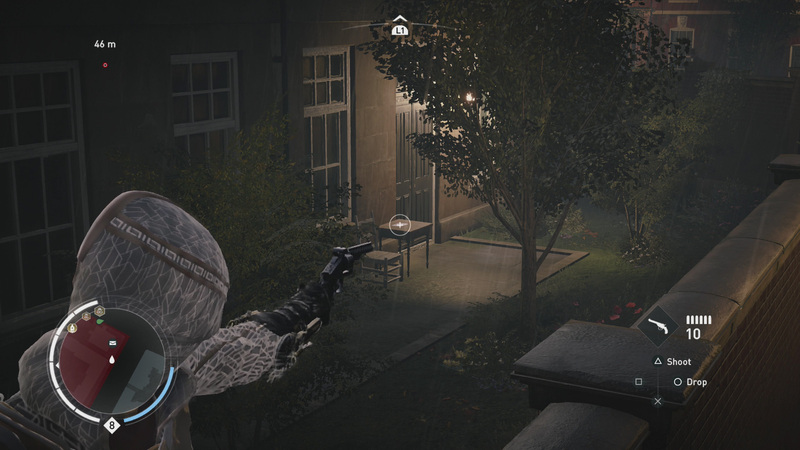 Over there you'll find a compelte sequence walkthrough to help you complete the game. 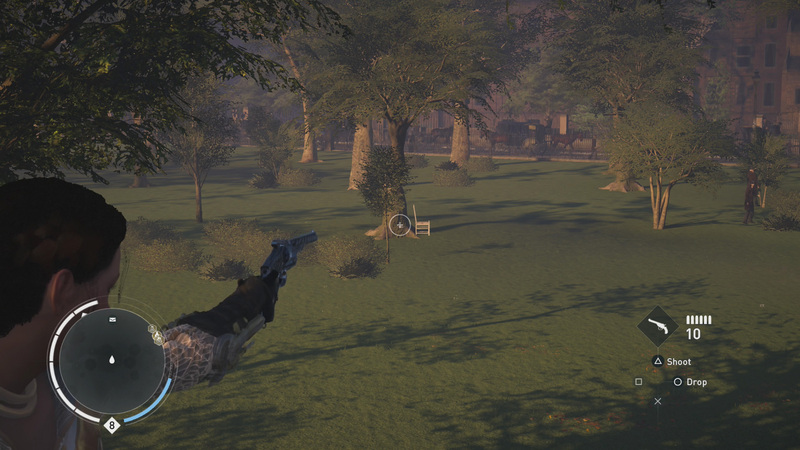 Once players have all of the Royal Correspondence letters in their possession, they will unlock the Emerald Isle Cape. A decent reward for an hour or so of work (assuming you’ve conquered the borough). 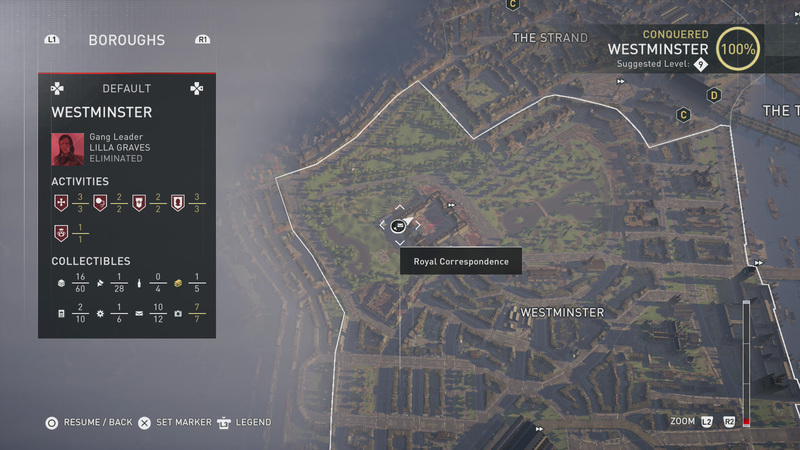 Royal Correspondence letters show up as an envelope icon if you’ve discovered them on your map, and they only spawn in Westminster. 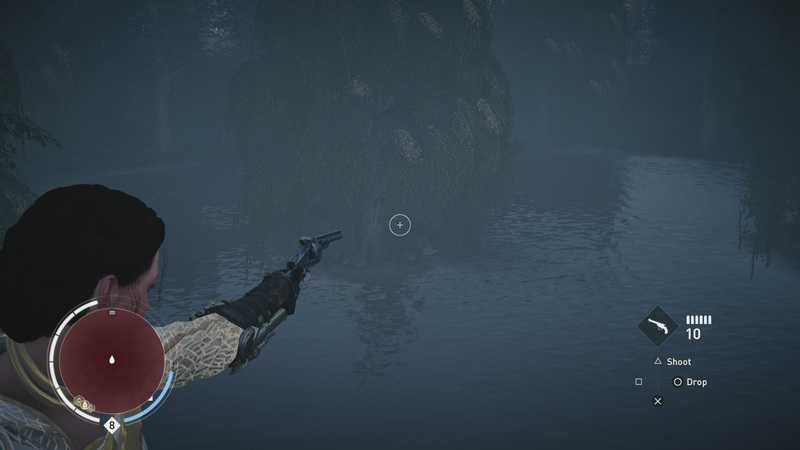 There are several chests located around the letters, and players would be wise to loot them. This avoids an unnecessary return trip. 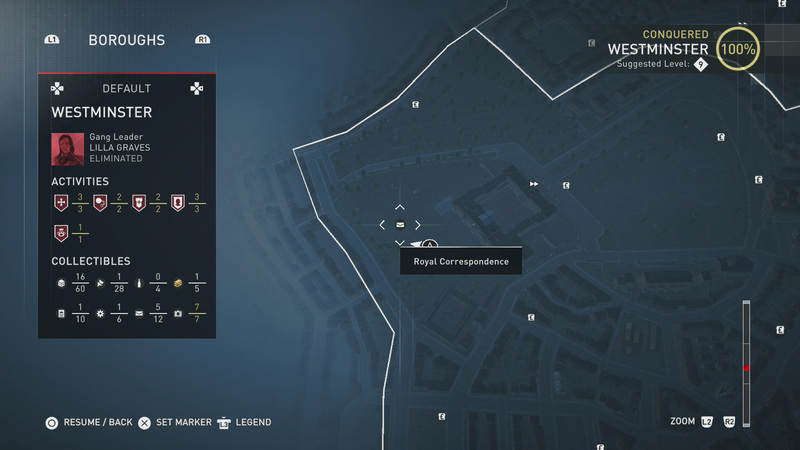 If you are at one of the envelope icons and can’t find the Royal Correspondence, set a waypoint on it. This will give you exact directions. 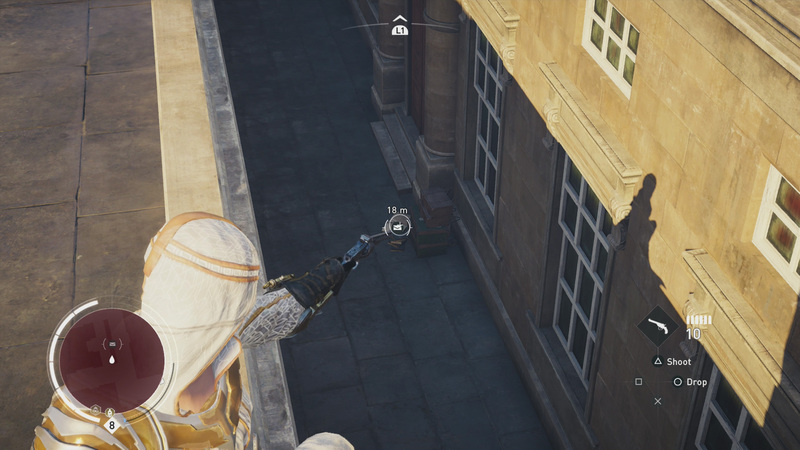 Since killing Royal Guards seems… wrong, remember that you can sneak behind them and knock them out. Try to be civil about it. 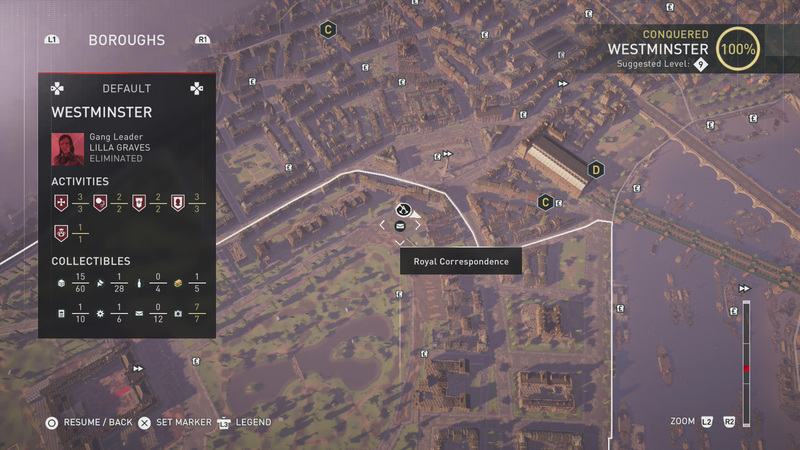 To the east of Buckingham Palace is a lake, and to the northeast of that lake is your first Royal Correspondence letter. It’s on a bench next to a fountain. The second Royal Correspondence is along the north shore of the lake that sits to the east of Buckingham Palace. You’ll find it just to the east of the bridge. The third letter is found northeast of Buckingham Palace, where the border of Westminster turns on a 90 degree angle. The Royal Correspondence is on top of a wall next to a small set of stairs. 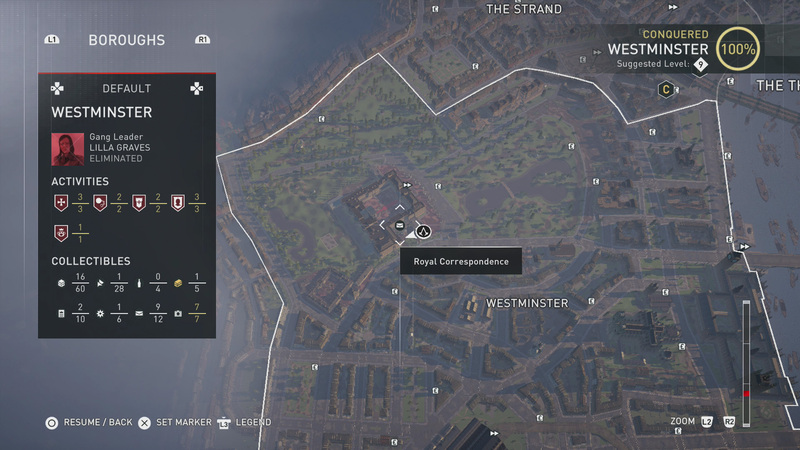 The next Royal Correspondence is directly north from the most northeast corner of Buckingham Palace. It’s sitting next to a tree with a single chair beside it. 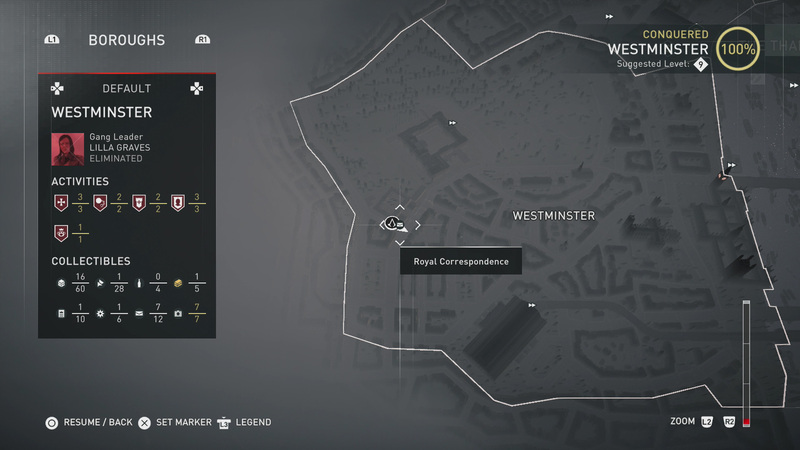 Head northwest from Buckingham Palace, close to where you can find a merchant who will sell you supplies. The Royal Correspondence is next to a small water fountain. 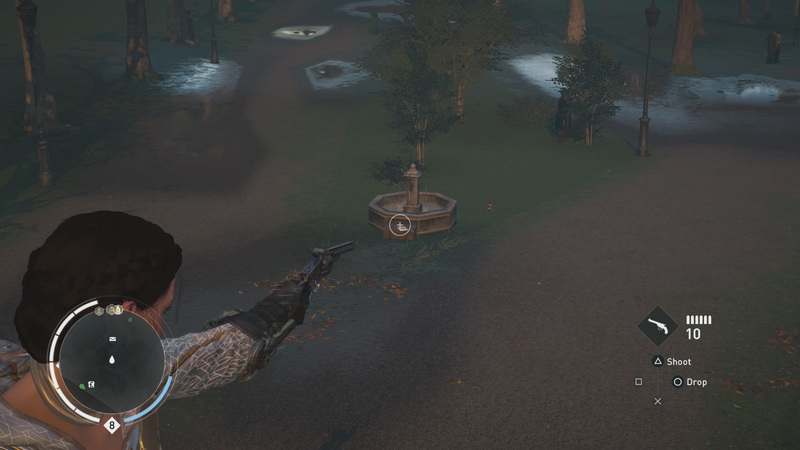 This letter can be found west of Buckingham Palace, along the shore of a nearby lake. Look for a bench, and the Royal Correspondence will be sitting on top of it. 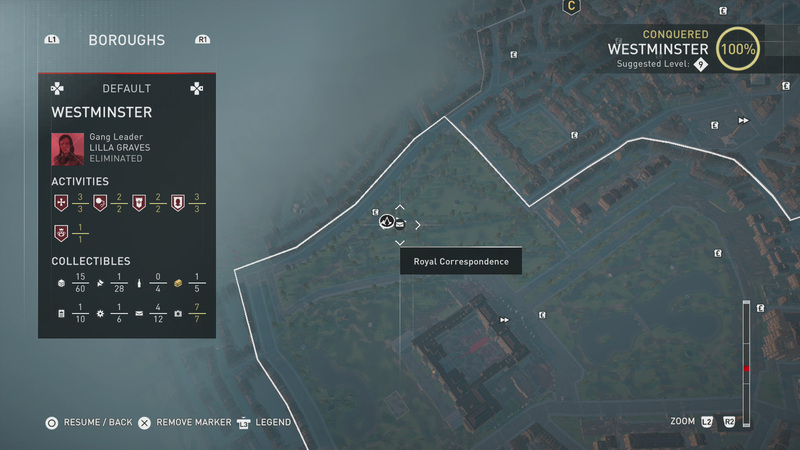 The next Royal Correspondence is on the lake that sits to the west of Buckingham Palace. Look for a small island in the middle. 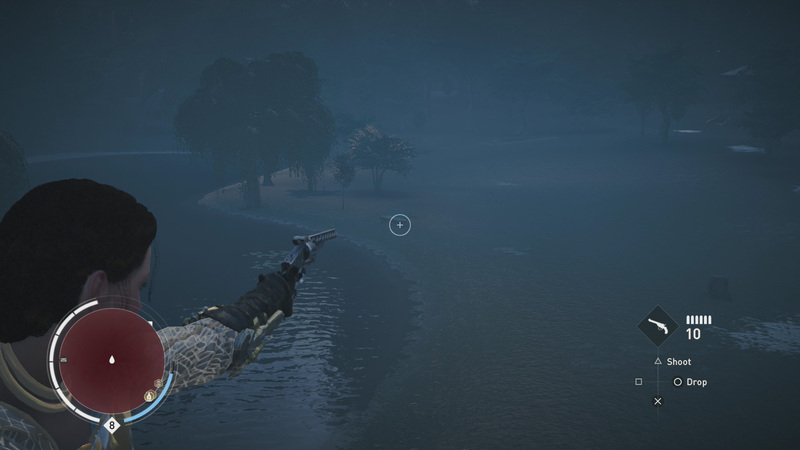 You’ll have to swim to it to retrieve this letter. 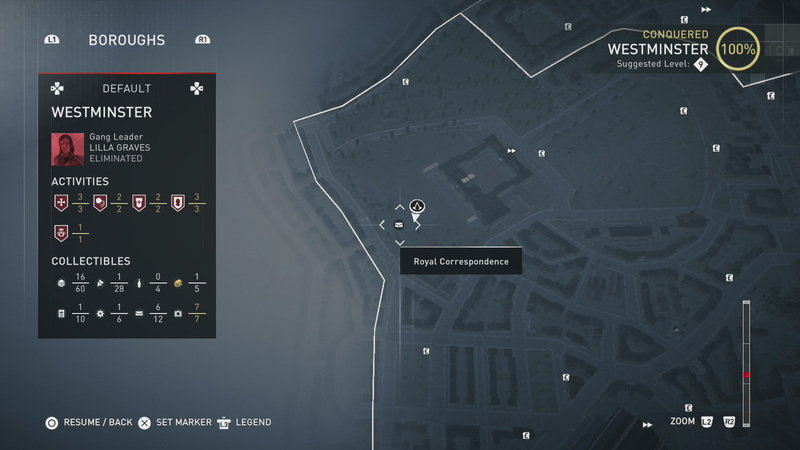 There is a road that heads southeast from Buckingham Palace. Follow this road past the first square building to find the Royal Correspondence on the right, on a table next to a chair. Your next Royal Correspondence can be found just inside the southwest yard of Buckingham Palace. 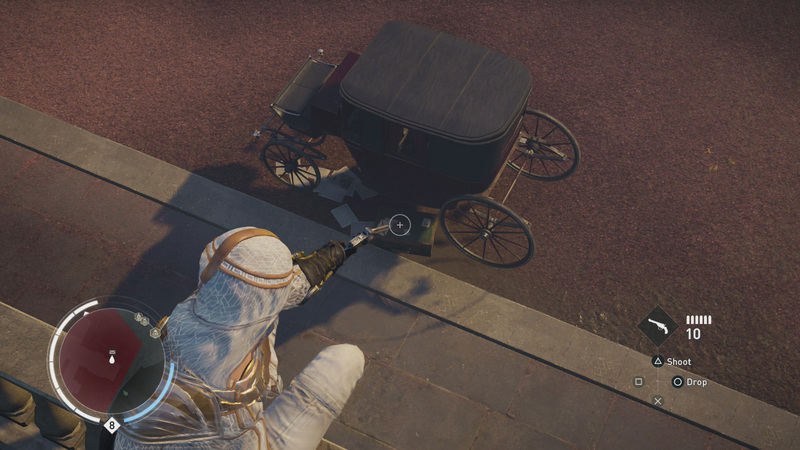 You will find it sitting between a carriage and the wall of the palace itself. This letter is located along the south wall of Buckingham Palace. 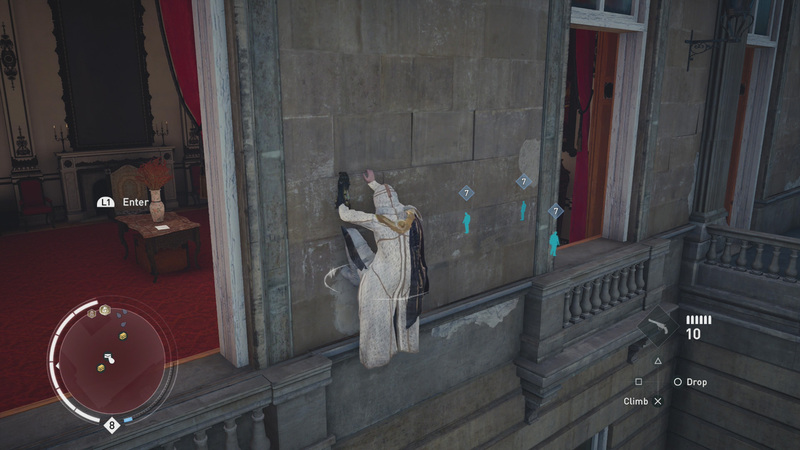 Look for a wall you can drop off of to get close to some windows. The Royal Correspondence is beneath one of them. Head to the west wall of Buckingham Palace, and then look for a window that you can enter through. The Royal Correspondence is on a desk inside. Be wary of Royal Guards. 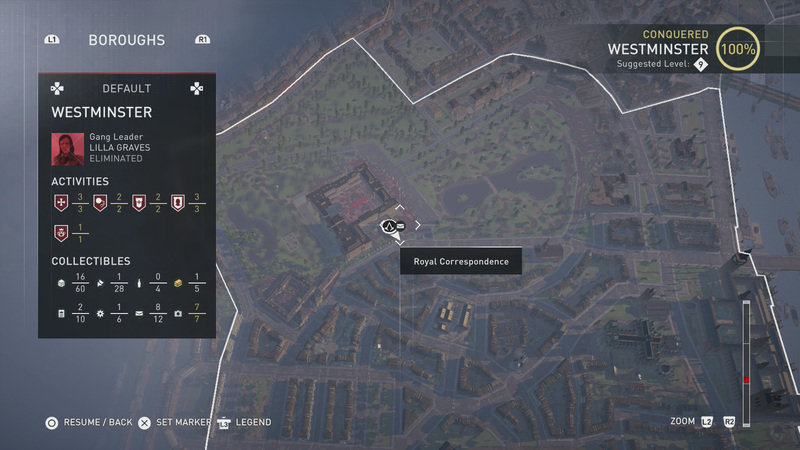 The final Royal Correspondence is on top of the north wall of Buckingham Palace, near the northeast corner of it. It sits on the ground, just below a window. With that, players will unlock the Emerald Isle Cape. This can be purchased from your inventory for a cool $6,000. 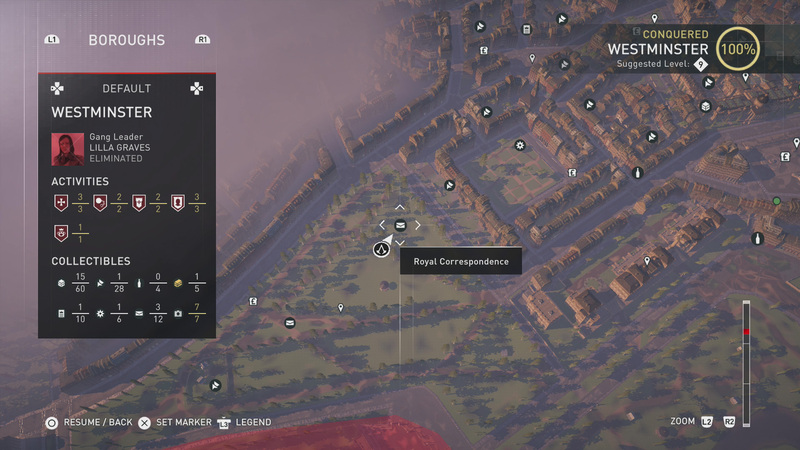 If you don’t have that kind of cash, open about 10 common chests around London and you should have all that you need. These will typically give you a good amount of cash for each one, as well as some of the crafting materials that you might need to upgrade your tools of destruction. 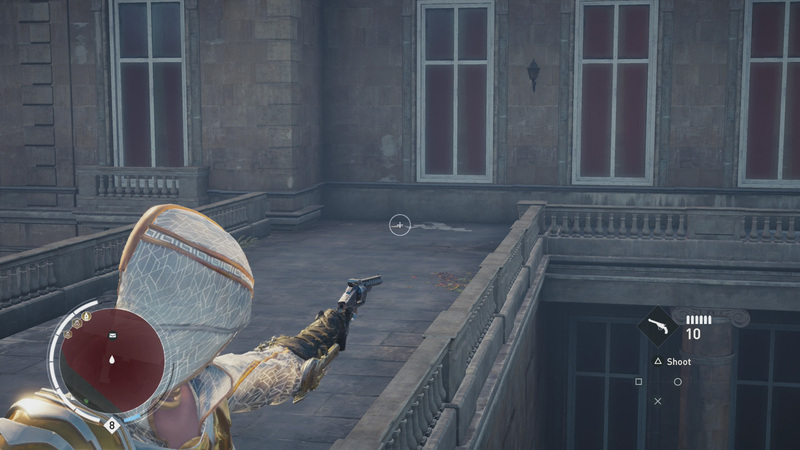 With that out of the way, you can get back to doing what an assassin does best, and that’s killing people who look at you funny. 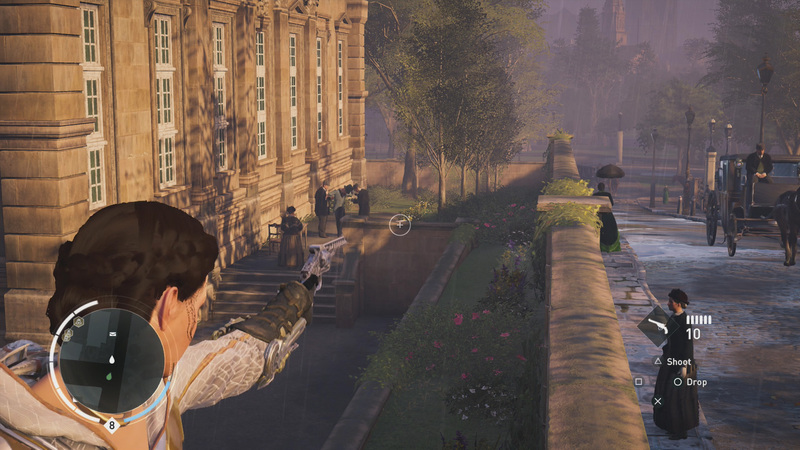 We’ll be hard at work helping you with other collectibles, such as the Secrets of London that unlock the Aegis outfit. 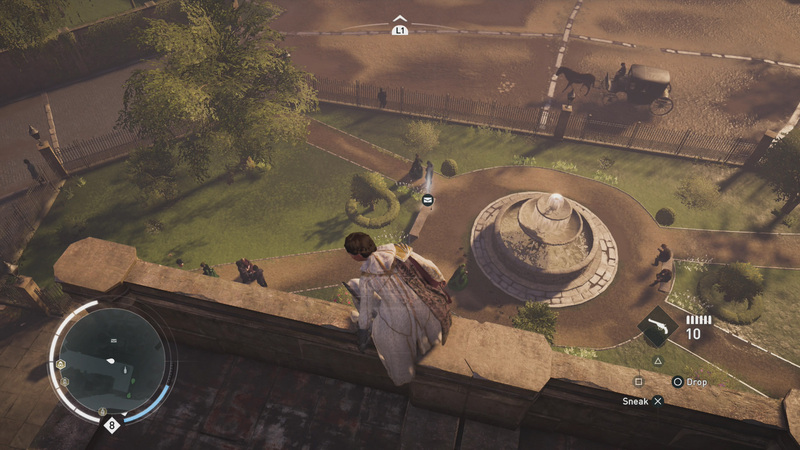 The solution to solving St. Paul's Puzzle can be found in this Assassin's Creed Syndicate Walkthrough - Sequence 5: St. Paul's Puzzle, Kill Pearl Attaway Guide.